I have some 5/16 SAE 30 R 7 fuel line left from when I replaced all the outside the tank hoses on my '96 900 SS/SP. This is not for inside the gas tank. I can send you any length up to 18 feet long for $3.00 per foot shipped CONUS. 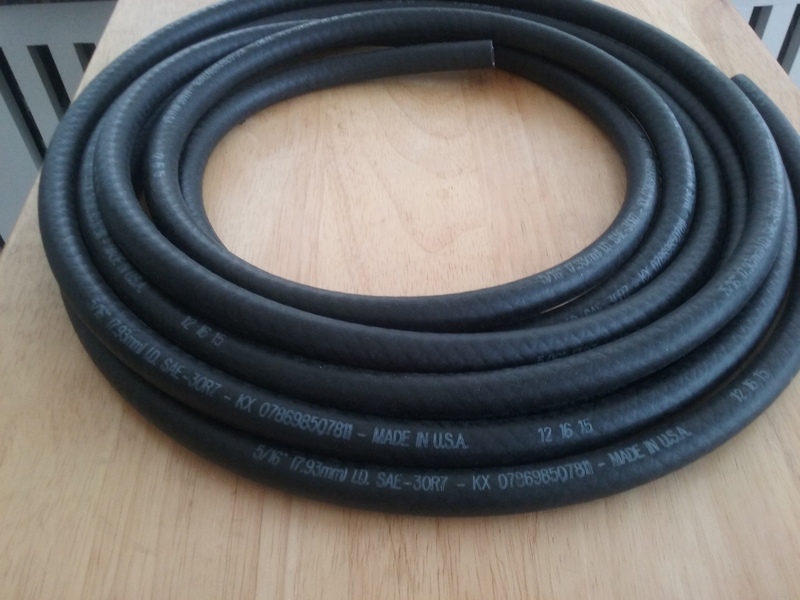 I have eleven feet of this 5/16' fuel line, for use outside the tank, now. Thanks, KochRocket, for your order.